Home News & Opinion Atlanta bought an Overwatch eSports team. Here’s why you should care. 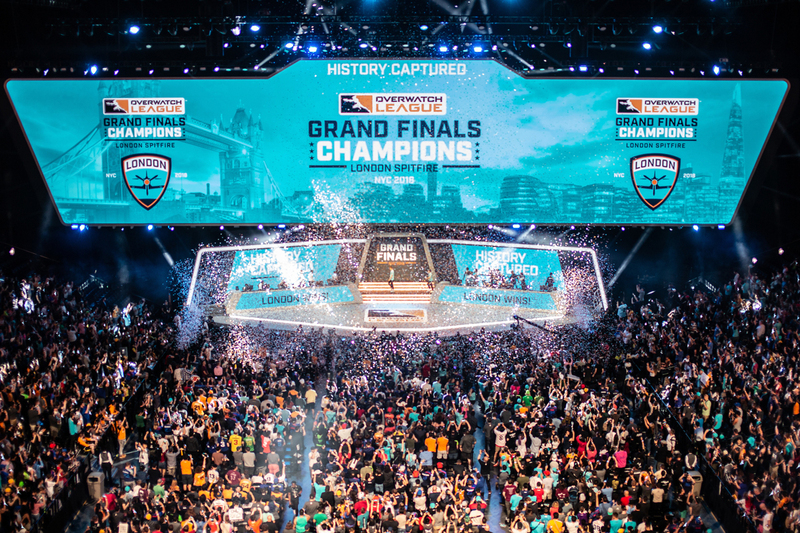 The London Spitfire won the championship in Overwatch League’s first season. It was pure pandemonium in Brooklyn’s Barclays Center. 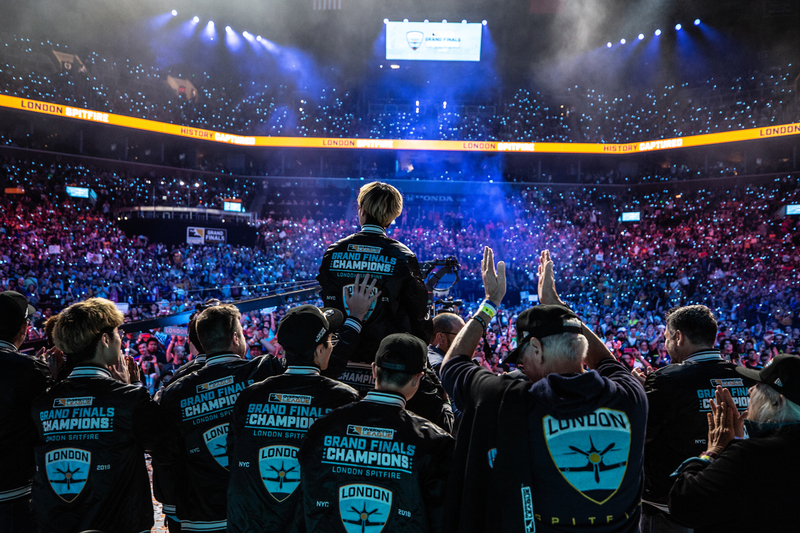 Confetti sprinkled through the sky, a roar ran through a crowd of thousands, and a team of six, the London Spitfire, all took their hands off their keyboards and mice to embrace each other in celebration of their victory while their opponents, the Philadelphia Fusion, hung their heads in defeat. The venue was sold out, with more than 20,000 tickets sold, while live TV and online streams from Disney XD, ABC, Twitch.tv, and, most notably, ESPN, brought in an additional 860,000 viewers per minute from around the globe. All of this just to watch 12 millennials compete professionally in a video game called Overwatch. 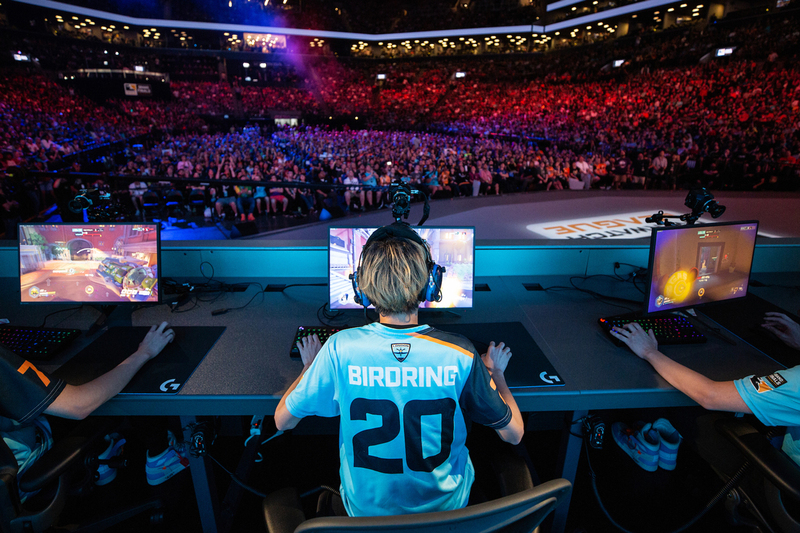 With ESPN airing the game during primetime television (7 p.m. on a Friday), the July 27-28 event was huge for showcasing the rise of eSports. Atlanta is going all-in on the phenomenon. The city will soon have its own Overwatch League team, the first eSports team to officially represent Atlanta. The team was purchased in July by consulting firm Province, Inc. and Atlanta-headquartered Cox Enterprises. The two companies created a joint venture, Atlanta Esports Ventures, which is assembling the team, named the Atlanta Reign. The official logo of Atlanta’s Overwatch League team, Atlanta Reign. Cool, you might say, but who cares about watching other people play video games? While many are still unaware of what eSports is or don’t take it seriously, the industry is more than YouTube personalities and Twitch streamers making millions of dollars a year for screaming at monitors and guzzling energy drinks—it’s a force to be reckoned with. With more than $500 million dollars coming in from advertising and sponsorships this year, a projected $1 billion revenue in 2019, and a staggering 38 percent year-to-year revenue growth, eSports is one of the fastest growing sports in the world. And there’s a reason why: businesses want to appeal to young people. 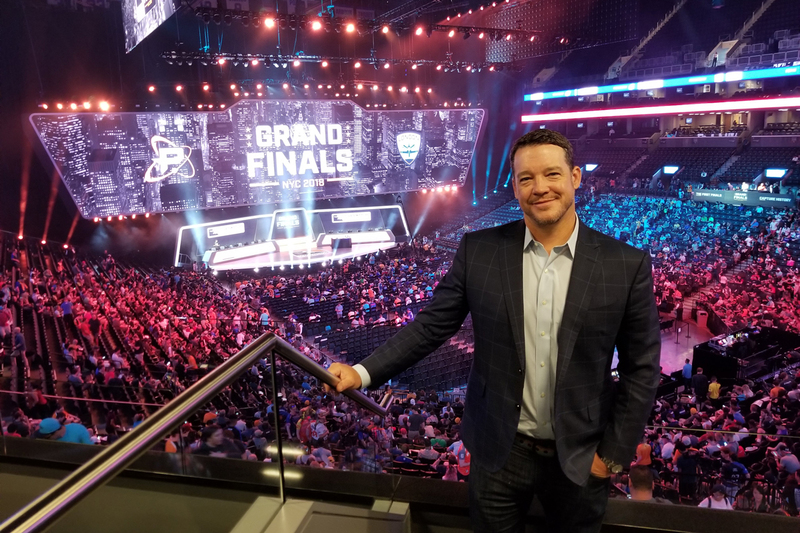 Paul Hamilton, president and CEO of Atlanta Esports Ventures, went to the Overwatch League Grand Finals at Barclays Center. “I’m a total sports nut, and the energy in that room was as loud and energized as any championship in any sport I’d ever been to,” he says. However, eSports has had problems in its players lacking professionalism, making sponsors hesitant to invest in a league with improper behavior, or one with a lack of structure that makes it difficult for for casual viewers to follow along with their favorite games. That’s where Overwatch League comes in. By copying the format of professional sports leagues, Overwatch League is the first eSports league that seems to be doing everything right. It franchises teams by city—from Los Angeles to London to Seoul to Shanghai—which increases local interest by giving fans a home team to rally around. It organizes games similar to the NBA and NHL with a preseason, regular season, all-star break, and playoffs, creating a format that’s easy to comprehend. It keeps the production value of its brand and events top-notch, with codes of conduct for its players and coaches (which it is enforcing), energetic announcers, enthusiastic fans, and primetime TV spots. And the league gets sponsorships and offers large sums of money to winning teams—$3.5 million was the prize pool in 2018. What’s most important: Overwatch League is turning eSports into a financially viable option for businesses to invest. “Within the next two to three years, Atlanta will probably be the hub of eSports,” says Mustafa Aijaz, chief operating officer of SoaR Gaming, a gaming organization that’s housed in metro Atlanta because of its booming eSports potential. The number of gaming companies and opportunities in Atlanta is astounding. Thanks to the same entertainment tax credits that apply to the film industry, hundreds of gaming companies have moved to the metro Atlanta area, including video game developer Hi-Rez Studios; Scuf Gaming, which creates custom game controllers and accessories; and KontrolFreek, which creates thumb grips for gaming controllers. In 2016, Turner Broadcasting opened ELEAGUE, which broadcasts competitive eSports on TBS on Fridays at 11 p.m. In August, the Atlanta Hawks announced they would be purchasing a franchise named Hawks Talon Gaming Club to join the NBA’s eSports league, the NBA 2K League. Georgia State University has joined the National Association of Collegiate Esports and the Georgia Esports League, where it’s providing scholarships and assembling a team to play League of Legends and Smite competitions. SCAD posted a job position for an eSports head coach to supervise its Overwatch and League of Legends teams. Every day, gamers go to bars like Battle & Brew or Joystick Gamebar and every year they pack the Georgia World Congress Center for expo and competition DreamHack. Even Atlanta’s culture icons are getting into gaming: Lil Yachty played the world’s most popular game at the moment, Fortnite, with Ninja, the game’s most popular player, to create a video that garnered 11 million views on YouTube. And Waka Flocka has performed at DreamHack and competed in a FIFA 18 tournament for this summer’s MLS All-Star Game. With the world’s largest airport in its back pocket and the perfect geographical location to be a center point for gamers in the Southeast, Aijaz thinks Atlanta is the third largest area for eSports, behind California and Texas.